Lucas Leiva arrived on Merseyside as the hottest propertyÂ from Brazil. 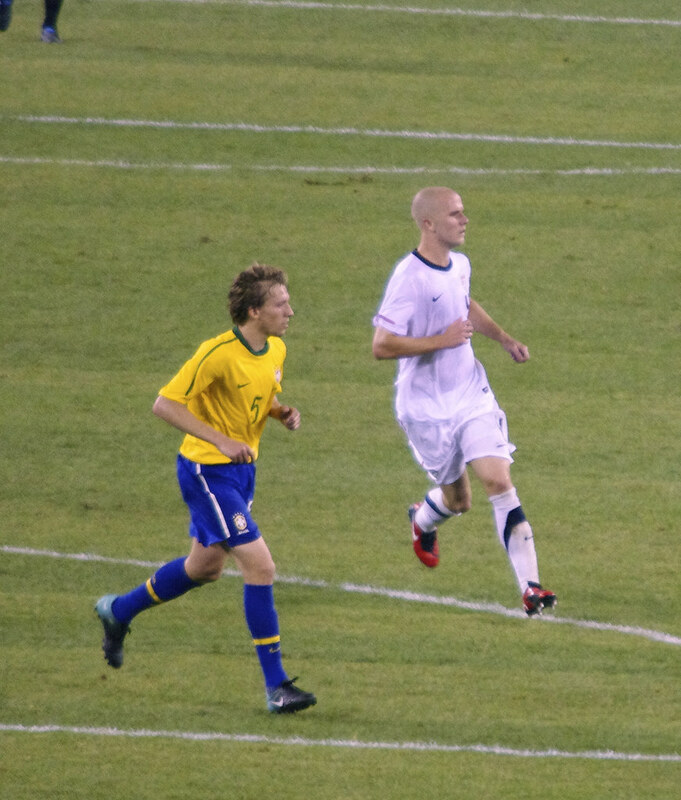 At 20, he had captained Gremio and his national youth side, also gaining senior caps, and became the youngest player to win the Bola de Ouro, joining the esteemed company of Zico, Falcao, Romario, Kaka and Carlos Tevez. Liverpool fans thought they were onto a winner; an intelligent box-to-box midfielder capable of being the driving force of his team, all for just £6 million. Things started well enough for Lucas – making his debut the day after signing for Liverpool, replacing Steven Gerrard in the Merseyside derbyÂ toÂ win a penalty thanks in part to the goalkeeping ability of Phil Neville and scoring a beautiful curling shot from 25 yards against Havant & Waterlooville – but it quickly became apparent that he wasn’t quite up to pace. He was always just a second behind: too long on the ball or a mistimed challenge. He looked at home in the Champions League, particularly against Inter, where he had more time and space on the ball and footballing intelligence became more important, but he was found lacking in the Premier League, and conceding a penalty against Wigan and a sending off against Everton didn’t help his standing amongst the fans, getting booed after an uninspiring display against Fulham. Lucas’ lacklustre early displays have developed the idea that he simply doesn’t have any talent, rather than him needing time to adapt. It’s become somewhat of a cliche to mention English football’s fast and physical style in regard to overseas players thanks to people using it for any foreign player, but when coming from the Brasileirao it’s particularly true. Lucas was used to a reasonably slow-paced league where he would get a free-kick anytime a defender came near him; it’s only reasonable to expect him to need time to adapt. Too often, a foreign player is labelled as being unable to cut it in the rough and tumble of the Premier League early on in their Premier League career – yes it might be true if the player is hitting or past their peak, such as Andriy Shevchenko, but dismissing a 19 year-old is absurd. This is a key point; it isn’t obvious that Lucas can ever be in the same class as his (mostly former) midfield colleagues. He doesn’t possess the tenacity of Mascherano, the passing range of Alonso or the all-action style of Gerrard. His attributes are more subtle, making him easy to dismiss as a passenger. Lesser players would have buckled under the abuse, yet Lucas knuckled down and improved his game. He bulked up so he could compete in challenges, he quickened his time on the ball even if that meant sacrificing some of the incisiveness, but the most important thing he did was earn the trust of his teammates. Early on in his Liverpool career, his colleagues didn’t read his passes or movement because they were used to a different type of player – now they have spent time playing with him we are seeing the best of him. 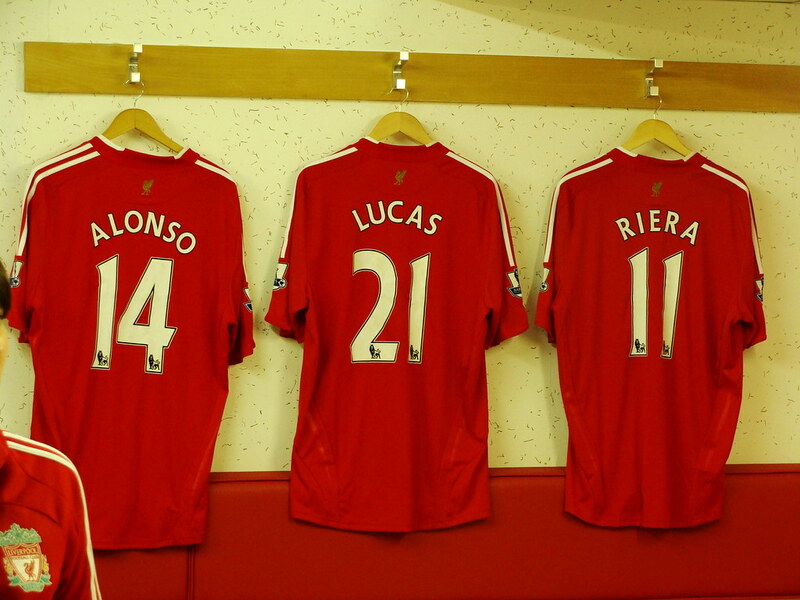 Although often derided as not being of “Liverpool quality”, Lucas is the epitome of the Liverpool player. Throughout their years at the top of Europe’s footballing pyramid, Liverpool built their game on an intelligent patient passing game. Bill Shankly claimed it was no use “running into no man’s land. 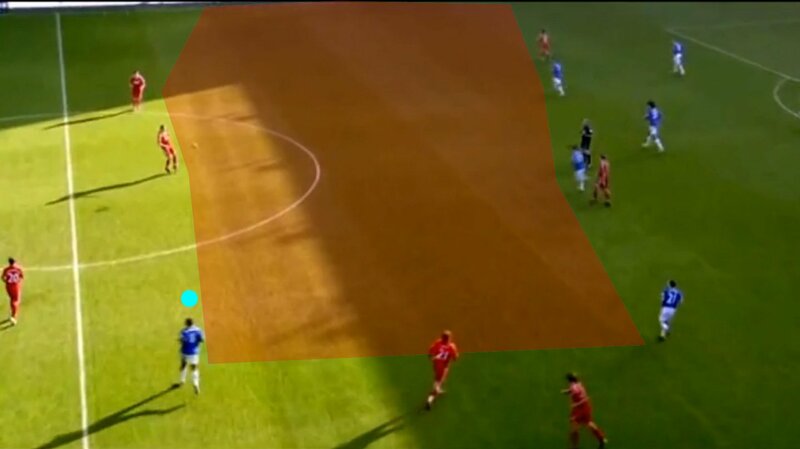 If you get the ball in the Liverpool team, you want choices: you want at least two people to pass to, maybe three, maybe moreâ€¦ You might not be getting very far, but the pattern is changing. Finally, somebody will sneak in.” He also claimed it was important “that everyone can control a ball and do the basic things in football” and his training sessions would often consist of four boards set up in a square with a player stood in the middle, while balls were thrown at them from each corner to trap or strike first-time. Looking at Lucas, you would expect him to slot straight into a Shankly side. Like many holding midfielders, his first touch and close control is often immaculate (Next time you see him, look out for the way he traps the ball with his chest – beautiful stuff) and his passing is neat. 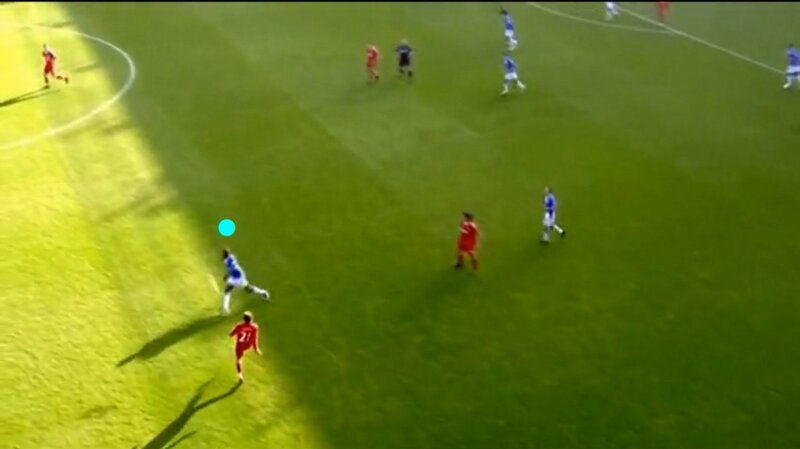 The basis of pass and move is that the short passing in one area of the pitch will draw the opposition into this space, opening up space elsewhere, and Lucas is great at controlling the playing area. The sideways and backwards passing is often used as a criticism against him and Mascherano, but is a sign of how intelligent a player Lucas is – once space has opened up, he’s perfectly capable, again much like Mascherano, of making an incisive run or pass into it. What’s more, when he knows he can’t make a run or a pass without putting himself or a teammate in danger, he’s excellent at drawing a foul – quickly shifting his body to shield the ball from his opponent. This shouldn’t be confused with diving – it’s the equivalent of what Francesco Totti is so good at, but with the added force of the Premier League crashing into him. “The strength of British football lay in our challenge for the ball, but the continentals took that away from us by learning how to intercept,” Bob Paisley claimed and, again, Lucas shows the intelligence that would have won him a place in the great Liverpool sides. Slotted alongside the rabid Mascherano, Lucas’ focus off-the-ball was, like Alonso, on positioning to cover for his teammate’s more blood-and-thunder approach. This is the most unglorious style of dirty work, because most fans don’t realise you are even doing it. However, defensively, Lucas offers much more than Alonso; the Spaniard was positionally disciplined, but was much less mobile than Lucas, which is one of the reasons Benitez wanted to trade him for Gareth Barry. Lucas’ work rate and mobility means he can press too, particularly considering his improved strength and timing in the challenge, pushing towards the universality that Benitez wanted from his players. Lucas is fast becoming one of the best holding midfielders in the world and it can only be a matter of time before everyone stands up and takes notice rather continuing to scapegoat him for his team’s failings. The game against Chelsea was just the beginning. Top quality stuff. He is one of the most developed players in the premier league over the last couple of years. Sadly, he provides qualities that are too nuanced for the majority of British pundits and fans to appreciate. I really think that losing him would be devastating to the club, aside from Sergio Busquets, there isn’t another young defensive midfielder as good as him. I just wish he could bundle a couple of goals, I think with a bit of confidence in his sails he’ll be a good threat going forward, the boys instincts when getting into the box are second to none. Solid article. Lucas’s work is certainly under-appreciated. 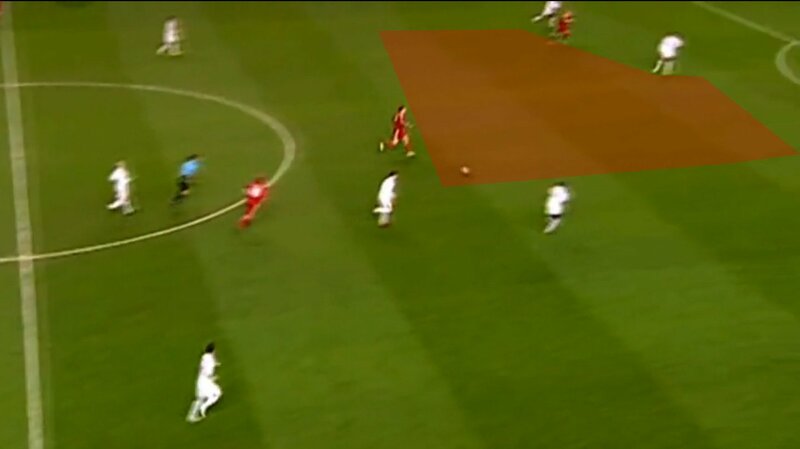 You could show a series of photos where Lucas – off balance and too weak on the ball after receiving a simple pass – proceeds to lose the ball which leads to a goal being conceded. That’s Lucas of 07/08. Havent’t watch his last two games, eh? I’ll keep a record of his glaring weaknesses in future matches, but let’s start today… #001: Why did he take two steps back allowing Carroll to shoot and score on Saturday? I play at the dizzy heights of 5-a-side football, and if I did something like that, I’d be lambasted for not closing down. It’s another example of Liverpool fans lowering their expectations. Just because he’s better than Poulsen does not make him a good player. 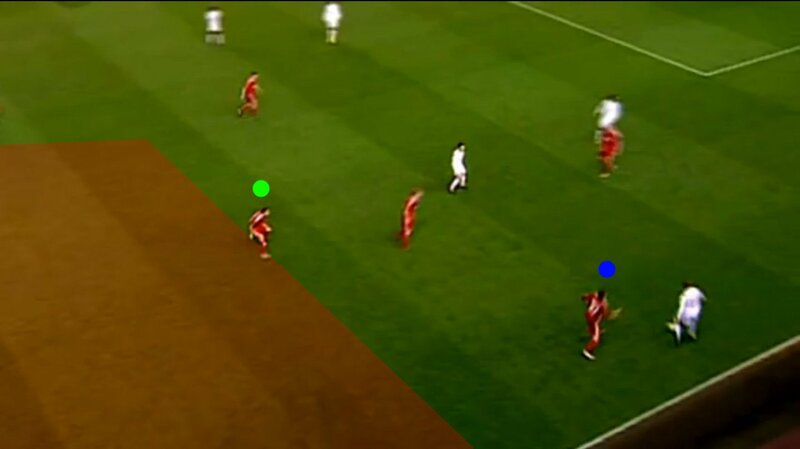 Because Jovanovic moves towards him and Lucas is covering Soto since he’s Liverpool’s Zamora at the moment. 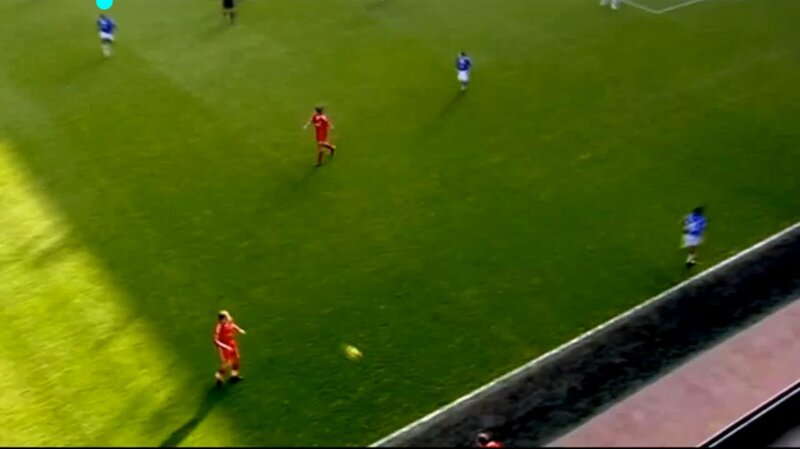 You can quite clearly see him start to close him down then look at Jovanovic.